Easter is a little less than a month away, and I got some bad news for you—The Easter Bunny isn’t real. 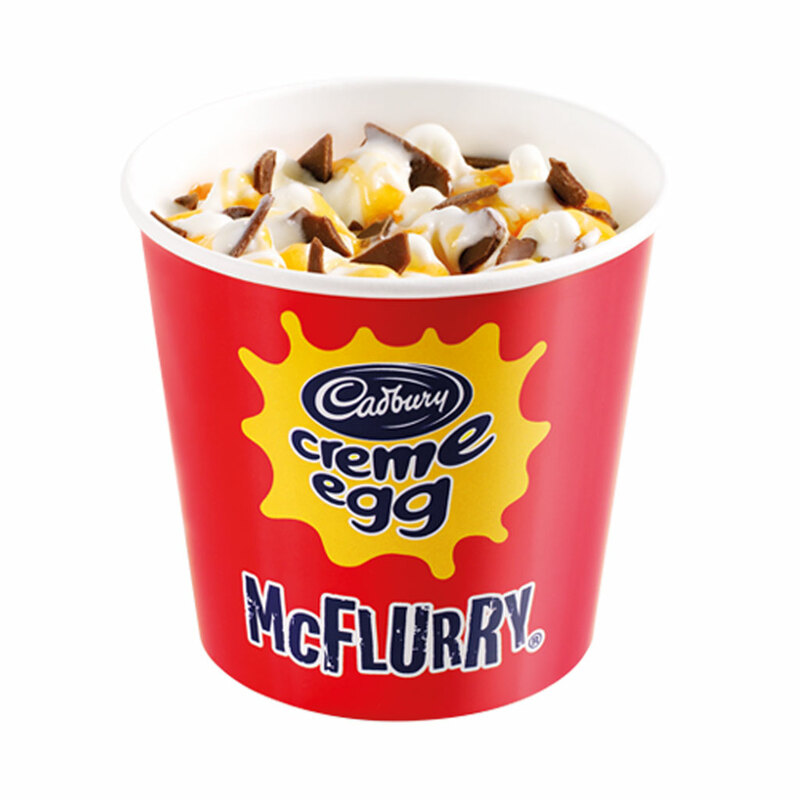 But if you’re looking for something as equally ridiculous as an egg-bearing rabbit but also real, how about this: a Cadbury Crème Egg McFlurry. McDonald’s Australia has added the Easter-themed item to its menu for a limited time – despite the fact that you’ve probably gone into a sugar coma simply from reading the its name. On its website, McDonald’s describes the new McFlurry as “a delicious mouthful of chocolate pieces and Crème Egg topping, blended into a creamy soft serve.” It sounds perfect for cleansing your palate after a mouthful of Peeps. The site also explicitly states that this holiday concoction is “available after 10:30am at participating restaurants” – so for those of you who were thinking this sounded more like a breakfast McFlurry, you’re out of luck. Meanwhile, if you’re lamenting why Australia has been graced with such Cadbury Crème Egg McFlurry good fortune while here in the States we’re stuck eating Oreo McFlurries, I really wish I had a good answer for you. Maybe it’s some sort of conspiracy perpetrated by big cookie. Or maybe McDonald’s just cares about our health. Actually, I’m thinking cookie conspiracy might be the more likely explanation.